After having incorporated enough super-hard gems into its body and managing to tunnel beyond the earth's crust Gorgem undergoes a powerful transformation. The large gem that comprises Gorgem's head melts and reconstitutes rapidly, forming an amorphous, ultra-hot molten liquid ruby core. If the Gorgem has not consumed hard enough minerals its body will be decimated forever, however, those that survive reach new levels of power as their ruby core stabilizes. 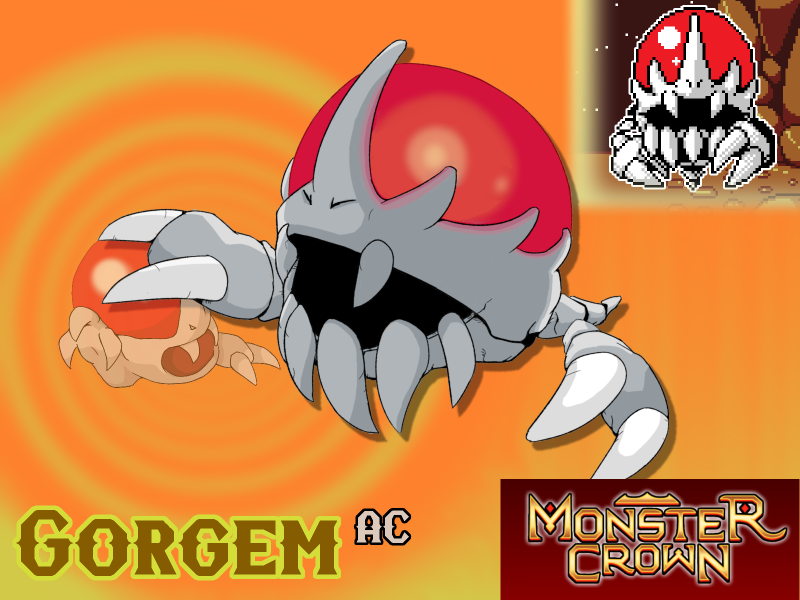 Gorgem AC's signature move, Ruby Beam, fires a massive beam of molten ruby at terrible speeds. The beam tears through almost anything, causing even the most magically resistant foes to erupt into flame. Will Gorgem AC make your team?